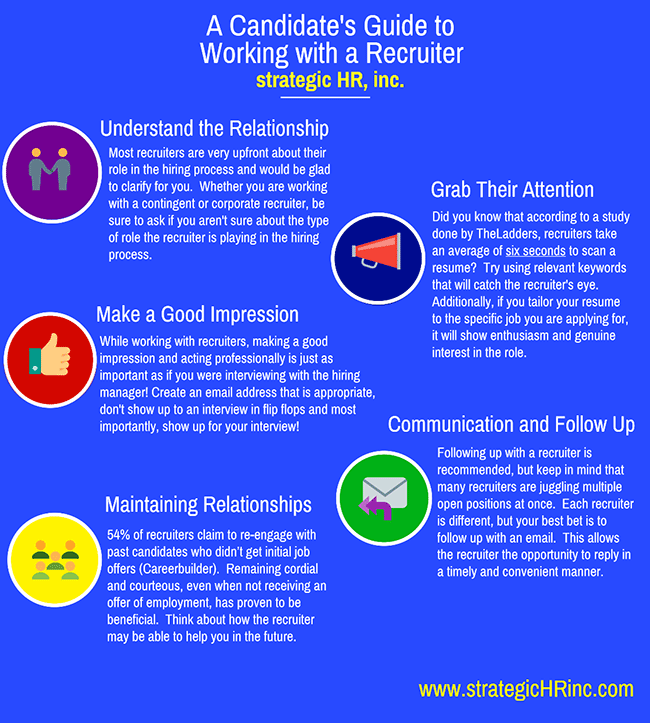 3 Keys to Successful Recruitment - strategic HR inc.
Would you agree that we are in a tightening labor market? Are you finding the need to engage passive candidates in order to fill those complex positions? In order to be successful, these influences will drive companies to improve their recruiting processes in order to find the right candidates. The complexities of the recruiting world are affecting all three of the main actors in the process: Candidates, Recruiters, and Hiring Managers. In this article we have taken the perspective of each of these parties and evaluated their involvement with the other parties. From a candidate perspective, getting your resume noticed by a recruiter and making a good impression can be extremely nerve racking. According to Career Builder, 3 out of 4 job seekers cite job hunting as one of the most stressful things in his or her life. 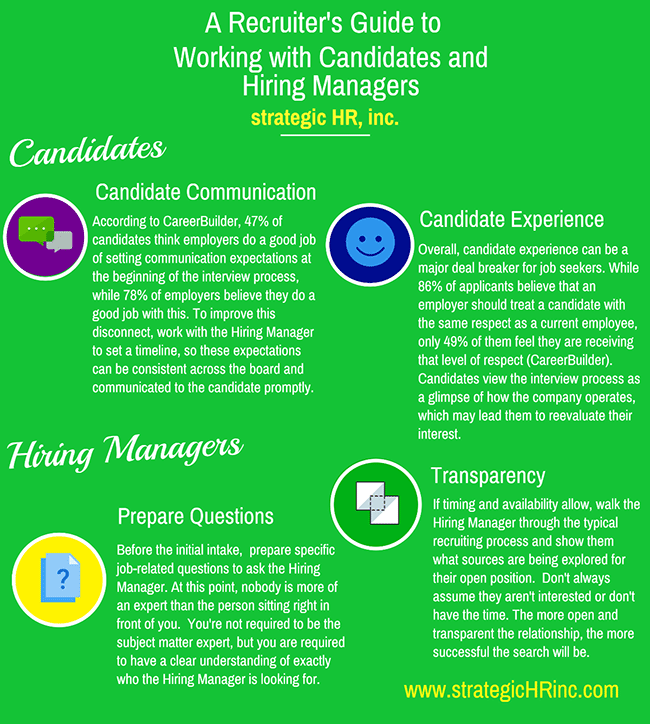 If employers want to attract the best talent, one of their main focuses should be a positive candidate experience during the interview process. Candidates aren’t the only ones finding themselves in stressful situations during the recruiting process. As a hiring manager, it can be frustrating to be in the position of trying to hire for a tough to fill job. Whether there is a lack of communication between all parties (recruiters, candidates, and hiring managers), or you are seemingly being presented with unqualified candidates, there are best practices that you can follow in order to make the process as seamless as possible. Like the candidate and hiring manager, the recruiter has a unique perspective as well. Perhaps the person who seemingly knows the recruiting process the best, the recruiter still seems to run into frustrations daily. Whether you are trying to wrap your head around a complex job or you are beginning to feel that the hiring manager has expectations that are just unrealistic, there are some tips that you can take to make the process run as smoothly as possible. Recruiting is not a science and does take a great deal of skill, organization, flexibility, creativity, and patience. 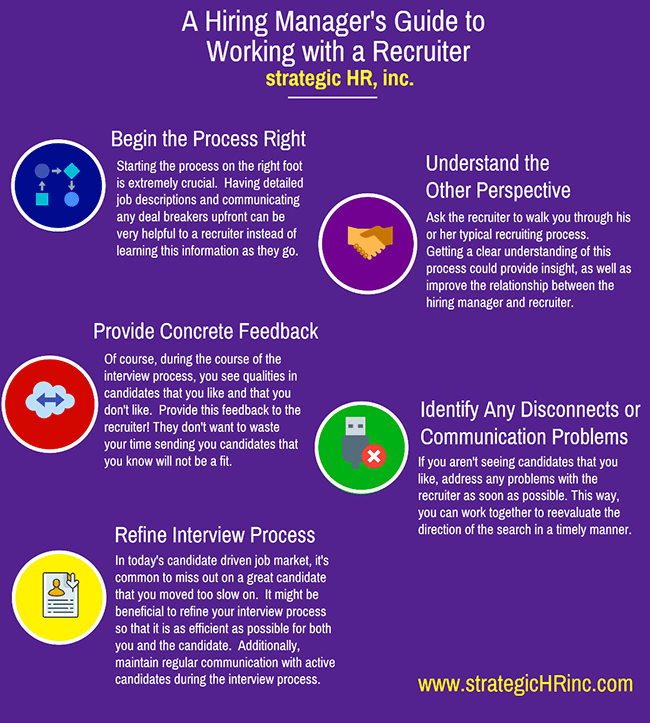 But, by understanding your process, tools and actors in the process, you will make your recruitment process that much smoother and successful. Avery Helwig is a Talent Acquisition Consultant with strategic HR inc. She has a Bachelor of Arts Degree in Political Science and a minor in Organizational Leadership with an HR focus. Is recruiting just too much for your workload? Are you concerned you don’t have the knowledge of the latest and greatest recruitment strategies? 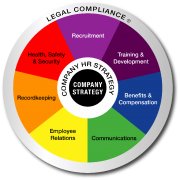 strategic HR inc. can help you. 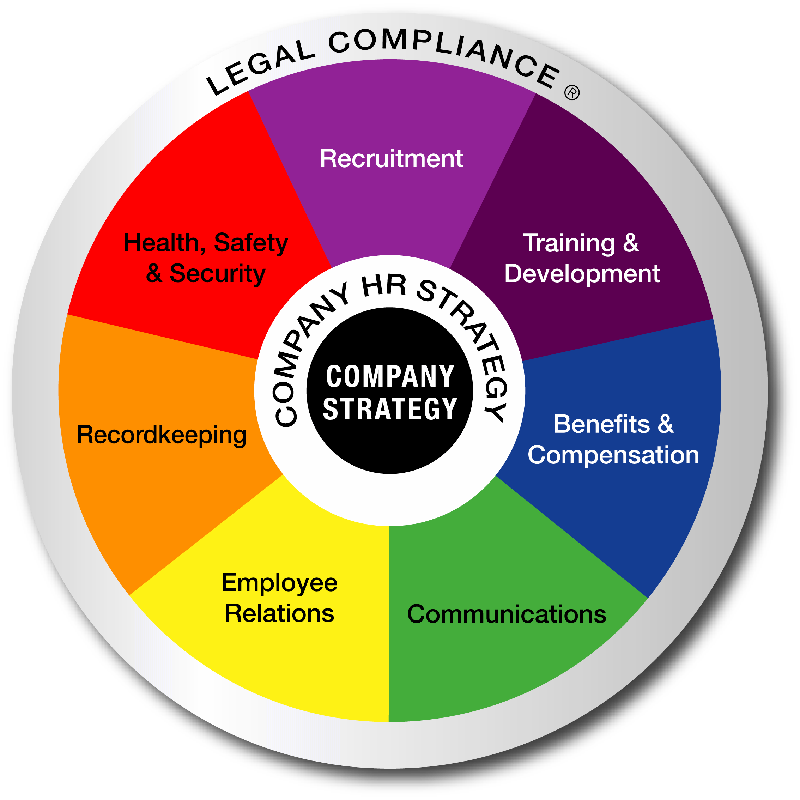 We provide an Outsourced Recruitment Solution to help manage as many jobs as you need. Our fee structure is hourly therefore reducing your cost to hire substantially while still being able to take advantage of our years of experience, certifications, and more. Contact us to talk further about your recruitment needs.